Catching Up – and a Giveaway Winner! Hello and Happy Wednesday guys – how’s everyone doing?? It’s been a hot minute since I last posted, so how about we take a little trip down memory lane and recap the past few weeks! After the Jersey Girl Tri, I was riding high on the post-race endorphins and immediately wanted to put my training to use with another tri, soon. After flip flopping between a few other events like Iron Girl in Sandy Hook, I stumbled across One More Tri in Asbury Park this September. This event is pretty much the perfect combination: it’s in Asbury Park, one of my favorite places on earth, it’s a fundraising event for the Special Olympics, which is very near and dear to my heart, and it’s a unified triathlon event, where Special Olympics athletes and members of the community compete side-by-side! That just brings it to a whole other level. I get goosebumps just thinking about it – I used to love volunteering at events like this back in high school and college, but getting to actually participate in these sports with these inspirational folks? What an honor! I can’t wait. Click here to learn more – or make a donation towards my fundraising efforts, if you’re so inclined! Once I signed up for that, I realized I had to come up with a new training plan that will prepare me both for the tri and the Atlantic City Half Marathon in October! 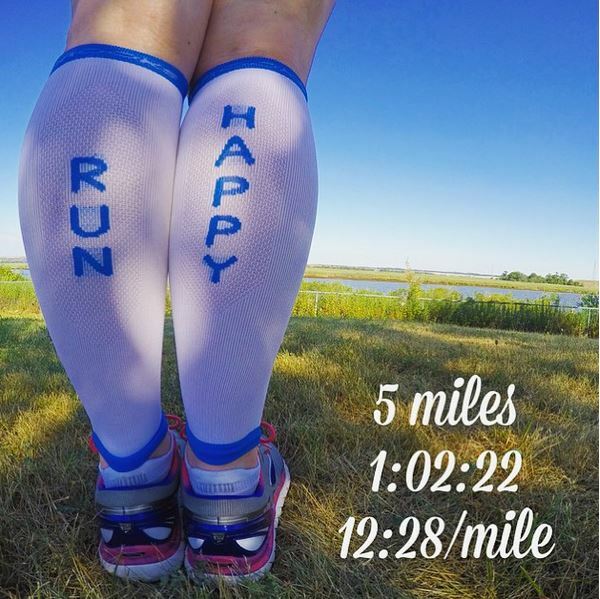 I took to the interwebs and found my favorite 6-week triathlon training plan once again, then layered my usual half marathon training plan on top of it. BOY was that a mess. After some tinkering (and taking into consideration the other shorter races I’ve got planned in September and October), I finally came up with a plan that works. I was SO excited to take it on! I hit the first week hard, nailing every single workout, and I was feeling good in time for my first long run of training. It was a little harder than I expected because of the heat and hills I took on, but I was so pumped to keep it up and tackle week 2! 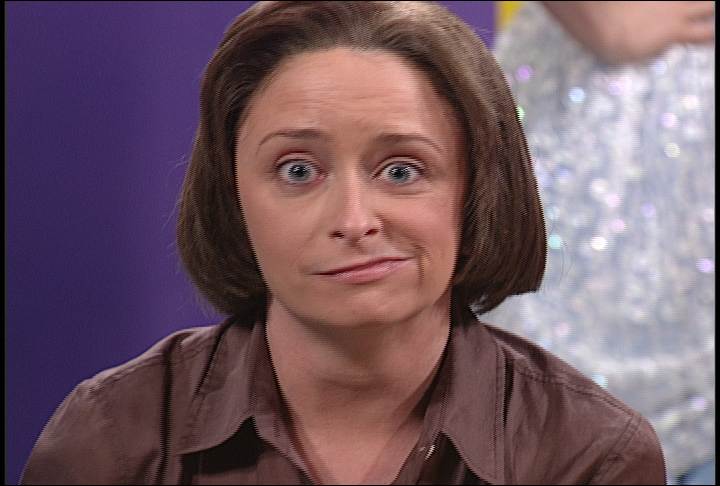 Aaaaand then I got sick. Last week I was knocked out by a nasty sinus infection and bronchitis that prevented me from breathing or hearing or basically using my head properly for a good 5 days. I finally started feeling human again on Sunday in time for a quick weekend getaway with my friend and her daughters, and now I’m easing back in to training once again with renewed excitement. Kind of. I mean, my lungs are still filled with gunk and it’s like 100 degrees out, but dammit I’ve got races to crush this fall, and I’m not going to let anything get in my way! 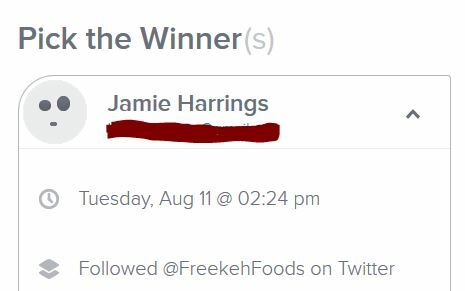 Which brings us to today, and another exciting announcement – the winner of my Freekeh Foods Giveaway! Drumroll please…. Congratulations to Jamie Harrings, you’re a winner! Getting sick in the middle of training is the worst! I’m glad you are on the road to feeling better, you will be back in full swing in no time. I’m excited that you’re doing another tri! Jess, this sounds like such a great race and I love the cause!! I’ve never volunteered for a Special Olympics event but I have always wanted to. I’ll have to make it happen one day. Unfortunately I have a 20-miler on the schedule for that day so I can’t this time 😥 Good luck!! My pleasure! I figure if I can’t volunteer I can still help in another way right? 🙂 And thank you!! I sure hope so. Hopefully the heat and humidity calm down before then! You can do this! Piece of cake, baby!